We are amongst the most reputed names in the industry, offering Two Wheeler Rocker Arm. Rocker arm connects the camshaft and help operate the valves to adjust openings in the cylinder block. Material - EN 8Features - Dimensional Accuracy, Low maintenance, Durability, Resistance to wear & tear Applications - Used to convey radial movement from the lobe into linear movement at the poppet valve to open it. We Ramdev Auto Industries are leading manufacturer and supplier of Two Wheeler Rocker Arm. We are offering Two Wheeler Rocker Arm for Motorcycles. 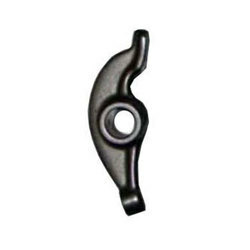 Our Two Wheeler Rocker Arm is manufactured from rust resistant and high strength raw material. his product is examine on various parameters with different testing abilities. Our reputed entity is engaged in supplying Two Wheeler Rocker Arm. 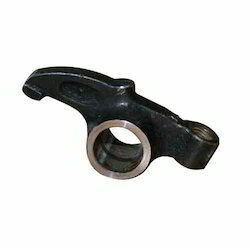 In order to meet excellent quality standards, we are supplying Two Wheeler Rocker Arms. We are a top-notch organization, engaged in providing Two Wheeler Rocker Arms. Banking on our enriched industry experience, we are able to supply Two Wheeler Rocker Arm.